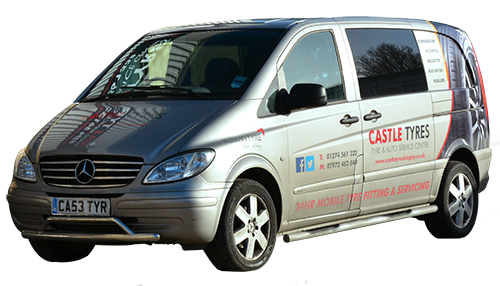 Castle Tyres | Tyre Repairs, Vulcanising , Wheel Balancing in Bingley, Bradford. 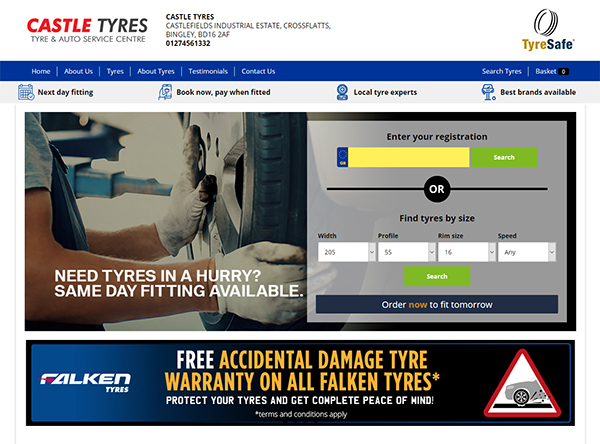 Simply Order online so your tyres are here ready to fit when you come down. Its that simple! 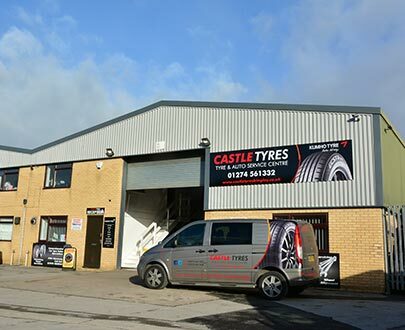 We have now moved to new premisis at the top of the Castlefields Trading Estate, near the entrance on the right. 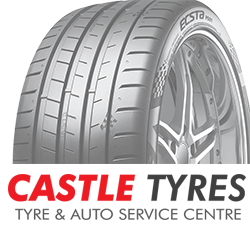 Working to B.S au159g on all tyres from car to commercial. 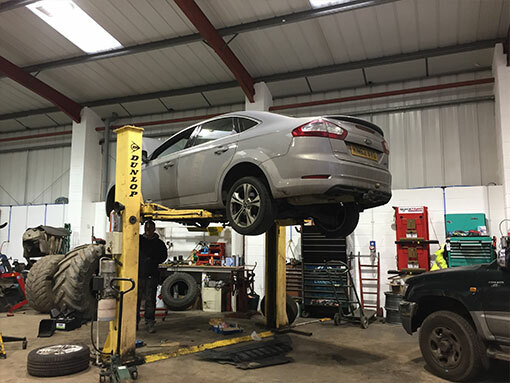 From £40 Including Brake Check & Antifreeze. Price + parts & lubrication. With our new MT3350 Laser balancer offering the most accurate available balancing. We accept all major forms of payment methods.